As part of Endurance’s initiative to improve our service offering to our trade customers, a total revamp of our printed materials is taking place. With feedback from our Preferred Installer Network serving as the waypoint for the decision, these printed materials are set to offer a higher standard of quality across the board. 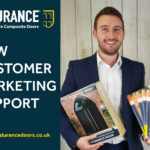 Following the introduction of the highly popular A0 size wallchart last year and the new and improved Homeowner Brochure, the Marketing Team at Endurance are busy revamping all the existing printed materials as well as introducing some new materials too. The new printed materials will include a total redesign of the Endurance Main Brochure, which now includes a larger range of door styles and glazing options to showcase the aesthetics on offer. When ready, this brochure will also offer information on lock, threshold and hardware options for the security conscious browser. Alongside this, Endurance is also introducing a new range of showroom support resources. This includes newly designed roller banners, promotional posters and a sample box that enables homeowners to see the Endurance standard hands-on. Showrooms with TVs can also receive a USB stick pre-loaded with all of the Endurance Doors video content. 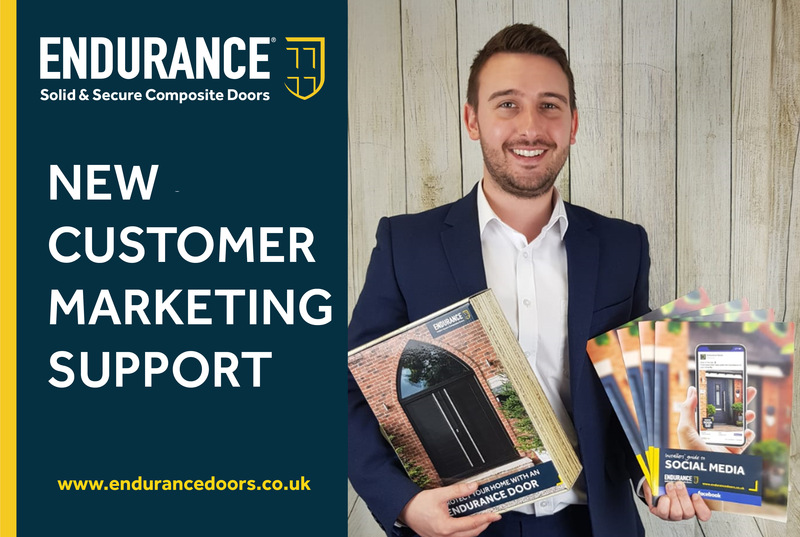 If you’re interested in benefitting from these new resources, get in touch with marketing@endurancedoors.co.uk to get your own copy of the Showroom Support Brochure.